Fives has been glad to take part in the CIPE from 20th to 22nd March 2017 in Beijing, to introduce the Cryomec cryogenic pumps. Fives would like to take this opportunity to thank Key On for allowing us to discover this interesting and constructive event. 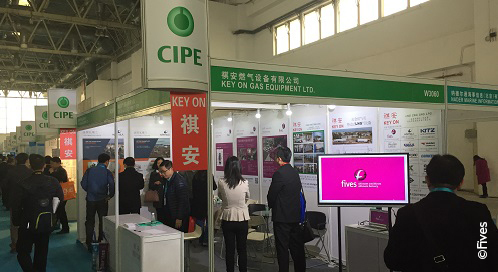 This exhibition allowed both teams to build contacts with local representatives and key Chinese actors of the oil and gas market.